"Do You See Deese CDs?" My birthday was just a couple of weeks ago and I treated myself to some CDs that I'd been meaning to buy over the last year. They were mainly new releases by some of my favorite bands that I hadn't gotten around to getting for whatever reason. Doing so reminded me of this idea for a post that I've had in the back of my mind over the last several months, which originally germinated with this story on the fall of the CD as the king of the musical delivery formats. I also have recently read and reviewed an excellent book on the rise and fall of the CD as the music industry has gone almost totally digital. Whenever I mention that I still buy CDs to my friends and family, most of them give me incredulous looks...even the older ones! It seems that everyone is going digital and abandoning their physical music collections for files on a computer. However, this article defending CDs as a viable physical medium even in 2016 made me realize one of the huge reasons that I still buy them. Like the author of that Rolling Stone article, I am happy to have a physical back-up for all of my most treasured music. Crystallizing this for me is the fact that I have a 2009 iPod Classic (one of the last ones made) that has a corrupted hard drive and a battery that won't hold a charge. What this means is that, even after loading all 16,000+ songs onto it from my library, it is prone to erasing itself completely, something it's done twice in the last two years. While this usually has me cursing to no end, it's more because of the effort and time I know it's going to take for me to reload everything back onto it after I clean up the iPod disc drive. Eventually, I'll replace this iPod with a new one, but in the meantime since I have the majority of my music on CD (and the rest, which is digital-only, backed up on my computer), it's not a big deal. Beyond that, as I've written before, I'm old school and absolutely love album art, liner notes, and the packaging that goes into making each album its own unique work of art. Finally, with everyone else getting rid of their CDs, I'm able to find lots of the stuff I'm looking for at really low prices when browsing the used sections of my favorite record stores or Amazon. It's great being able to pay $3 or $4 for a CD that is brand new in almost every way except that I didn't remove the shrink wrap from it. Even new CDs are much cheaper now than they were in their 1990s heyday...it's normal to pay $8 or $9 for a brand new CD, and only $14 for a double! (Those of you who are around my age, do you remember the days when a single was $15 and a double was $30? How times have changed!). The only downside is that they do take up a fair amount of physical space in my home, although I've pruned my collection down from ~2,000 CDs to a more manageable ~1,200 (and counting). All I know is that I'm thankful that CDs are still around and will be for a while, and the fact that they're not so popular makes it easier and cheaper for me and my fellow CD lovers to keep buying them at a deep discount. I'd say that's a win-win situation, wouldn't you agree? The other day it was brought to my attention yesterday by Invaluable online auctions that there are several lots of some vintage and collectible guitars that are coming up for sale. They always have a revolving door of collectibles, music related and beyond, but on February 27th they're teaming up with Guernsey’s Auctions to present Guitars At Auction. This exclusive auction event features 379 live auction lots of an assortment of almost impossible-to-find instruments. These lots will be sold at LIVE auction in New York City on February 27th...there are live preview showings on February 25th and 26th running from 12pm noon to 6pm on each day. This event will be featuring several private collections of instruments, including ~20 coming directly from the great George Benson. Some of the instruments which will be for sale are described below (see also the infographic at the end of this post for photos of these three guitars). While I know that these guitars aren't cheap, I do know that there are many of you out there who are fellow guitarists and collectors who at the very least will be interested in seeing what's for sale. And who knows? Maybe some of you with deep pockets might just walk away with one of these beauties! Eddie Van Halen’s 1982 Charvel, made for, owned by, and played by Mr. Van Halen himself, with 1982 video and other full documentation. Eddie Van Halen's iconic original black & white striped "Frankenstein" guitar (which he later modified in the late 1979 with an additional layer of red paint) was built from a body and neck he bought from Wayne Charvel and Lynn Ellsworth in the mid 1970s. Van Halen continued to purchase various parts from Charvel during the late 70s that he used to build guitars, and he even played a guitar built by Charvel based on the single-pickup design of his Frankenstein. Stevie Ray Vaughan-Owned & Signed c. 1966-67 Fender Stratocaster. Serial#: 191460. Stevie Ray Vaughan owned and signed 1966-67 Fender Stratocaster in a three-tone Sunburst finish. The signature is broad and in gold ink, dated " '90," and also present on this guitar are some worn stickers; one group of stickers reads "SRV" and the other, located on the pickguard, is rather worn and faded but the word "Cobras" is visible. Vaughan played with Paul Ray and the Cobras in Austin, Texas from 1975 until 1977. This Fender's silver neck plate is etched in block letters "STEVIE RAY VAUGHAN DALLAS, TX." Paperwork inside the case with more of Vaughan's handwriting. 1966 Gibson LG-1 & Continental Music Company Guitars, In Cold Blood. 1966 Gibson LG-1 Sunburst finish. This guitar was used in the movie In Cold Blood. They put a substance on the finish to keep it from reflecting on camera. Robert Blake gave the consignor this guitar in 2001. In 2002, the consignor produced a vintage guitar show in Las Vegas at the Hard Rock Hotel and this guitar was featured at this show. The newspaper article from Las Vegas in 2002 is a companying the guitar. Comes with modern case. Beyond being a massive music fan as a listener, collector, and creator, I've always been interested in the technical aspect of its creation in addition to the aural pleasure it gives me. Part of this is because I'm a musician myself and have done a lot of home recording over the years, but a major factor has to do with being a student of music and really enjoying the mystery, mythology, and romance of the studio. I'm also, as anyone who knows me well will attest to, predominantly into British rock bands; they make up probably ~70% of what I listen to (the balance being American bands), so I know a lot about them and what's gone into the making of their records. When I was sent this new book on The Great British Recording Studios, I felt like a little kid on Christmas morning..I couldn't wait to dive into it as it seemed like it would be right in my wheelhouse. Just looking at the cover and those photos of the Beatles, Stones, Who, Hendrix, and Pink Floyd, I could already tell I was going to be in for a treat and before I get into the actual review, I'll cut to the chase and say that I was not disappointed at all. Author Howard Massey spent many years working in recording studios in London and, like many other music fans, realized that the unique and defining sound of music recorded in Great Britain in the 1960s to the present is real, being a product not only of the unique studios but the talented, creative, and resourceful staff who approached problems in a different way from their American counterparts. As the legendary George Martin, who wrote the forward to the book so eloquently and succinctly put it, while America emerged from WWII intact and prosperous, England was bruised and battered both physically and mentally, taking almost all of their pop culture cues (especially music) from the US. However, in the effort to make records that "sounded American," British music had an explosion the likes of which have never been seen before or since, in terms of both homegrown talent and studio technology. In doing so, they flipped the script and by the middle of the 1960s, American bands and producers were trying to make their records "sound British." For the next few decades, the British led the way, having some of the finest and most in-demand studios, producers and engineers, and recording technology in the industry. The story of how and why this came to be is at the heart of the book and is one of many things that makes it such a fascinating and enjoyable read. Massey has broken the book down by chapter, starting first with an introduction on the background of the British recording industry in the early to mid-20th century as well as some basic differences between American and British recording protocol and standards. From here, the book is divided into sections: the first chapter deals with perhaps the most famous recording studio in the world, EMI's Abbey Road Studios, made famous by the Beatles, but also the place where Pink Floyd, the Hollies, and others made numerous legendary records. The following section is dedicated to "The Big Three," the other three record company-owned major studios in competition with Abbey Road from that era: Pye, Philips, and Decca. After this, a section dedicated to "The Early Independents" describes the first and most influential of the various independent studios that popped up to cater to the burgeoning pop and rock music scene, which counted legendary studios like Olympic, Trident, IBC, CBS, and others among its ranks. A section on the smaller independent studios of the era follows, and the book ends with a section on the famous mobile studios of the 1960s and 1970s (such as the Rolling Stones Mobile, the Ronnie Lane Mobile, the Pye Mobile) and a glossary of recording terminology. Each chapter is broken down into smaller sections that first describe the history of the studios followed by detailed descriptions of all of the equipment they used, key personnel and features of the studios (both physical and acoustical), and a list of some of the famous records made there. Besides some great period photographs, the chapters also contain several "Stories From the Studio" sidebars which give extra insight as told by those who worked there. These range from funny anecdotes to descriptions of technical or sonic challenges, as well as innovations. These sidebars really add a lot to the story of each studio and my only complaint is that I'd love even more of them! For someone like myself who is both an obsessive music fan as well as a musician, the combination of discussion on recording techniques and technical talk about equipment had me in music geek heaven from the start. Massey does a nice job early on of explaining the basics so that even those who may not have a background in music and recording will be able to follow along. There is also the exhaustive glossary at the end of the book to help those less knowledgeable. While reading the book, it was also very cool to recognize so many names and places from all my years of reading album sleeves and credits. 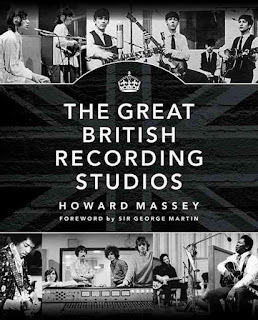 Many giants of British studios of that era, from Geoff Emerick and Keith Grant to Tony Visconti and Glyn Johns (and many more) spoke to Massey and offered great insight that could not have been offered had the book been solely based on his research. If I have any complaints, there are two. First, I'd love to see more photographs! While there were many excellent pictures throughout the book of the various studios (both interior and exterior), equipment, and people, I would've liked to have seen even more, especially of some of the more notable and/or exotic vintage equipment. Second, the book seemed to cut off around the late 1980s and it would have been nice for it to include a bit more of a discussion into the 1990s and 2000s. While I understand that the rise of inexpensive home recording has affected the recording industry in the UK over the last twenty years, there are still several excellent studios where many legendary albums from the 1990s and 2000s were recorded. While the book skews heavily toward the classic rock era of the 1960s and 1970s, and this was definitely the golden age for both British rock in particular and rock music in general, the book didn't label itself as such and thus it would've been nice to see the discussion continue into the modern era. However, at almost 350 pages, the book is certainly crammed full with wonderful information and I realize I'm being more than just a little greedy with my quibbles! While the talent of the bands, the physical studios, and the recording gear played a huge role in the great music made in the UK, it was really the ingenuity of the people who worked in those facilities that brought it all to life. So many of the recording techniques and technologies we take for granted now were developed (often on the fly and on a shoestring budget) through cleverness and because of a real and critical need. The fact that so much of it was done with the more primitive technology of those times only reinforces the brilliance of the engineers and producers who came up with these solutions, making them that much more impressive. The author does a great job emphasizing the symbiosis between the studios and the staff and tells all of their stories with equal parts reverence and humility. 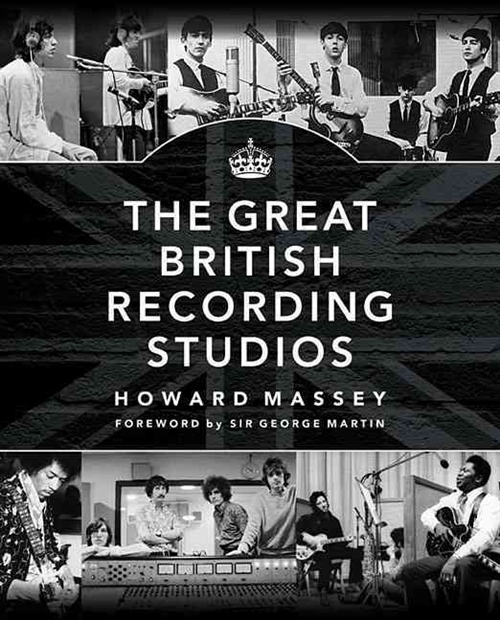 If you're a fan of the more technical aspects of music and recording, a fan of British rock music of the 1960s and 1970s, or of that era in general, The Great British Recording Studios is an essential book. It's easily one of the coolest, most interesting, and enjoyable books I've read in a long time and in the off chance that you couldn't tell from the above review, I highly recommend it. Now, this list isn't to imply that these are the ONLY bands I want to see; rather these are the ones that I absolutely want to do whatever I can in my power to see at least once before they (or I) leave this mortal coil. On that list above, I've seen all of the ones in green at least once except, while the ones in red I've yet to see: the Stones (hopefully soon), Clapton (unlikely as he basically retired last year), the Davies brothers (Dave has played agonizingly close by several times in the last two years but I haven't been able to catch him), and Billy Joel. However, as you can see from the title of this post (and that picture of those two tickets in my hand), I'll be crossing Billy off my list by the end of the summer. Mrs. Chemist and I will be going to see Billy at Fenway Park, where we've seen loads of Red Sox games over years, but not too many concerts...it'll be my second show there (I saw Paul McCartney there in 2013) and my wife's first. We're both big fans of Billy...personally, I've been a fan my entire life, and everyone I know who has seen him says he still puts on a fantastic show, so to say I'm excited is a bit of an understatement, plus it gives us an excuse to go back home to New England for a few days (which is never a bad thing). When it was announced by the Red Sox a few weeks ago that he'd be playing at Fenway for the third summer in a row, I just knew we had to go see him. Luckily, I was able to score tickets right after they went on sale a couple of weeks ago. As if you ever doubted it, I fully intend to write up a review of the concert and the entire experience for this blog after the fact, but in the meantime I now have something to look forward to for the end of the summer. Can You Have a Personal Connection With Someone You've Never Met? Media is a funny thing (and by media, I mean print, television, radio, music, movies, etc). It allows us, especially in 2016, to have instant access and communication with people all over the world at the press of a button (or a finger on a touchscreen, as is more common these days). Ironically, along with this increased closeness with strangers around the world comes an increasing sense of isolation amongst those we're closest to in our real lives. However, that overarching theme is not the point of this post and is best left for a different discussion. Where I'm going with this is the strange and true way in which media, regardless of which kind, can allow us to feel a deep and personal connection with people we have never met and who, in most cases, never will meet. Speaking from personal experience, this is most clearly felt when it comes to my favorite music and musicians. Whether it's stuff from before my time in the 1960s and 1970s or what I grew up listening to in the 1980s, 90s, and beyond, I've definitely felt an almost personal connection with many of the creators of this music. Obviously the majority of this is through their music and the continual enjoyment I derive from it, but much of it also comes through the various media in which I've been able to learn about them. In my younger days, it was through newspaper and magazine interviews, videos, and the radio. In recent years, it's been even easier to have access to those we're fans of through the internet and social media outlets like Facebook, Twitter, and Instagram. Today's technology allows for an instant channel of communication from fans to celebrities, and in many cases back in the opposite direction (of which I've been fortunate to be a part of numerous times). While this has the potential to get ugly since fan hate can now be spewed without thought of consequence at the swipe of a finger, and though the anonymity of the internet has resulted in many ugly episodes, the majority of the time this method of rapid interaction has allowed fans an actual concrete feeling of connection to those they admire. All of this leads me (finally) to discussing this strange phenomenon, or in the words of the recently departed David Bowie, "strange fascination," with having a connection beyond that of being just a fan, and whether or not it results in anything worthwhile. Personally, while I am a huge sports fan, I don't cheer for or pay attention to athletes unless they play for one of my beloved Boston teams; I suspect this is typical of most sports fans. However, when it comes to music, which is the biggest passion in my life after my family, it's a different story. Let me get it out of the way now that I don't blindly hero worship anyone and I realize that everyone, whether famous or not, is human and as such nowhere near perfect. Regardless of your station in life, we all have our faults and problems. I also wholeheartedly subscribe to the bromide that you should never meet your heroes (although I've been lucky in that the few times I have actually met some of mine, they turned out to be genuinely nice people). When I speak of a "connection," I mean that there's something there beyond simply being a fan, although what exactly this something is can be quite difficult to articulate. For me, the musicians who fall into this category would be the ones I have the highest degree of fandom for such as the Beatles, Blur, the Who, the Kinks, and several more which I won't mention for fear of this list getting too long. Through everything I've absorbed and studied about them, it almost feels as I though I know them, not in a literal sense but certainly in terms of what I know about them. Obviously, I'm not so delusional that I feel as though I truly do know them, but it definitely feels as though I have a fair understanding of what they're all about. This sense of connection can get scary, though, when people end up convincing themselves they're actually friends with those they admire, often having tragic consequences (see the murders of Selena and John Lennon, or Charles Manson's murder spree as but three examples). Even when it doesn't lead to such tragic endgames, many stalkers are born from thinking they are friends with their favorites, exacerbated these days with social media's instant access (I'm reminded in particular of the unhinged fangirls Blur guitarist Graham Coxon seems to unfortunately attract through no fault of his own). When I stop to think about it from my own perspective, I probably know more about Paul McCartney or Damon Albarn or Pete Townshend or Ray Davies than I do some of my oldest and closest friends, simply by virtue of the fact that nearly every thought and detail of their lives has been made public for the entirety of their adult lives. While us "normal" people (are any of us truly normal?) can still keep things private such that only those closest to us know them, famous figures have every bit of their past and present combed over and written about, so it's inevitable we'd know more about people we've never met than people we see on a regular basis. In many ways, this feeling of connection has helped me (and others, I'm sure) in tough times...knowing that someone else, no matter how remote they are, has gone through something similar and seeing how they channeled that into their work (which, in most cases in my life, is music) can be a great source of comfort and strength to draw upon. While I certainly rely first and foremost on family and friends for the support I need, the extra bit that can come from someone you feel connected to from afar can make all the difference. Additionally, there are some of these people whose deaths have affected me almost as much as though they were someone I knew and was close to personally (most notably, John Lennon, George Harrison, and most recently David Bowie). I mourn them not because they were beloved friends, but because I know so much about their lives and their music has deeply touched mine...a feeling shared by their countless fans around the world as well. I think I'm going to stop here because I'm finding it increasingly difficult to articulate exactly what I mean in a way that I feel makes it crystal clear, and I know from personal experience that there's nothing worse than having someone beat you over the head with something they've written as they start to go around in circles because they just can't find the right words to fully convey their idea. For those of you who do understand what I'm trying to say, what do you think? Is it possible to have a connection with someone you've never met, regardless on what level? To what extent? And if so, who is it for you and how has it affected you, either positively or negatively?